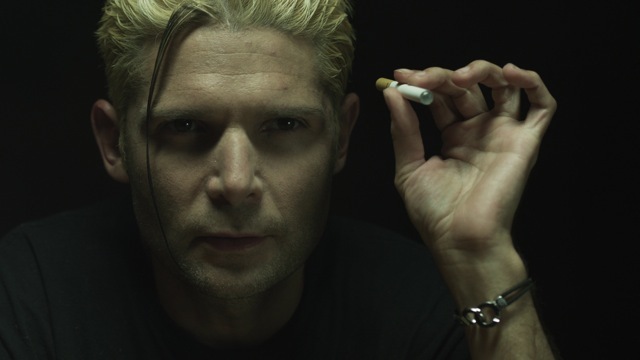 Corey Feldman stars in Joe Raffa’s “6 Degrees of Hell.” Courtesy of Breaking Glass Pictures. From the troubled Teddy Duchamp in Rob Reiner’s 1986 coming of age classic, “Stand by Me,” to the charismatic Edgar Frog in Joel Schumacher’s 1987 landmark vampire picture, “The Lost Boys,” Corey Feldman had a series of iconic roles under his belt long before he reached adulthood. On the heels of two nostalgic “Lost Boys” sequels, Feldman returns to the horror genre in Joe Raffa’s indie thriller, “6 Degrees of Hell.” Feldman plays Kyle Brenner, a paranormal investigator who attempts to make sense of supposedly supernatural events that resulted in a bloodbath at a Pennsylvania haunted house. Feldman spoke with Indie Outlook about his new film, his joy in reviving the “Lost Boys” franchise and his very, very busy schedule. Q: What I’ve always admired about your performances is their level of authenticity. Even at an early age, the characters you played in films such as “Stand by Me” felt like real kids. A: There’s certainly a nod to one’s own persona in any character an actor plays because at the end of the day, you’re still you. You’re never going to be able to fully remove yourself from the character. I won’t take a role unless it will allow me to create a character that is completely different from the previous ones I’ve played. If you go through the overview of my career, you will find that no two characters are the same. Q: As a child actor, was it challenging to portray the turbulent inner life of Teddy in “Stand by Me”? A: Not at all. As a matter of fact, Rob Reiner has been quoted saying that out of the hundreds of people that he saw for that role, he knew immediately that I was the one when I walked into the room. He never saw that much pain and that much anger in any other child’s eyes, and he could tell that there was something very honest about the pain inside me, which was true because I had a very troubled childhood. It was very difficult for me to get through life as a child in the entertainment industry. That certainly came across, not just in that role but other roles such as “The Lost Boys,” where I played a rebellious action hero at 14 years old. Most kids wouldn’t have that depth to pull from, but I had so many anger issues and depression issues that it worked very well for my career. Q: Did it make the experience of playing troubled characters cathartic? A: In the case of “Stand by Me,” I wasn’t aware of the coincidences of art imitating life. It was just a job more than anything. I was 12 years old. Although people would like to hear that it was a very well thought-out process and I took a long time to study the character, I would be lying if I said that. I was a kid who just happened to fall into one role after another. It wasn’t until “Lost Boys” that I actually made the conscious choice of creating and molding a character. From that time on, you’ll find that all of the characters I’ve played literally became departures from one to the next. Before that, characters like Mouth [in “The Goonies], Teddy and Pete in “Gremlins” were all dictated by the directors and not as much by me. Q: At what point in your life did you decide to make a living as an actor as opposed to finding a different profession? A: “Lost Boys” was the final film that I made while under my parents’ control. Right after that, I got emancipated, and from that point forward, all of the things that happened with my career were based on my decisions and not my parents’ decision. Films like “License to Drive” and “Dream a Little Dream” were done under my own regime. A: No, that didn’t happen until I got sober. [laughs] At the end of the day, I was a child performing slave labor. It wasn’t a choice, it wasn’t for fun, it wasn’t something that I wanted to do. I worked for a living to support my family. It wasn’t like acting was a direction or a path that I chose. Three-year-olds don’t make decisions, nor do five-year-olds nor do seven-year-olds. By seven, I already had an illustrious career, so to speak. My path was cut out for me. I believe that things happen for a reason and that everything happens exactly the way that it’s supposed to. For whatever reason, before I was born, this was the path that was laid out for me. By the time that I started wondering, “What if I don’t want to do this anymore? What if I want to grow up and go to college and lead a normal life?”, I was 19 or 20 years old. I became faced with the uncomfortable reality that people know you everywhere you go all over the world and you’re never going to be able to get a real job. You can’t just go to Blockbuster and work behind the counter. You can’t just get a job at Jiffy Lube [laughs]. If times get hard or incomes fall short, too bad. There is no option. There is no alternative route, unless I did a telemarketing job where people couldn’t see me, yet I was already famous enough that people could recognize me over the phone. I’d be calling about my cable bill or to get service repairs on my air conditioner and people would go, “Is that Corey Feldman? Are you THE Corey Feldman?” And I’d be like, “Great.” I couldn’t escape it, and once I realized that I couldn’t escape it, then it became a decision of what do I do in life. Either I kill myself or I embrace what has been given to me and try to make it work for me. That meant many years of struggle and hardship because making the transition from being a popular teen star to a legitimate actor is a very difficult one. Q: Shortly after the death of your frequent collaborator, Corey Haim, you appeared on Larry King and blasted sites such as TMZ for kicking celebrities when they’re going through hard times. How damaging are sites like these to people in your profession? A: Those people featured on TMZ will always be famous. They may be respected less, they may be joked about more but the fame never goes away. The only thing that changes is when the movie industry as a whole decides that a person’s not cool anymore and will no longer be hired. It doesn’t matter what the public wants or what the fans want. It doesn’t matter how many fans that particular entertainer has. Once the studio has decided you’re done, you’re done. If a doctor works for 45 years but at some point discovers a cure for a disease, he’s going to be celebrated during the year of that breakthrough. But that doesn’t mean that he’s any less of a doctor the next year, and the same goes for actors or musicians. It doesn’t mean that you’re any less of an actor just because the film you put out this year wasn’t as successful or because it went to DVD instead of the theater. You’re still doing as good of a job. Q: Would you say your fans have been instrumental in keeping your career alive? A: Absolutely. I wouldn’t be here today if it wasn’t for the fans. They’re the reason why I’ve been able to retain the career that I’ve had. I’ve made over a hundred films now and have six films that are coming out this year. It’s all because of my fans and I thank them from the bottom of my heart. I’m very, very grateful that I’ve had their love and support through the years as they’ve had mine. Q: Would you consider the original “Lost Boys” a predecessor of the current vampire craze? A: It was certainly a predecessor and the inspiration. I think that the makers of “Twilight” would be the first to say that they were huge fans of “Lost Boys.” We certainly gave that nod back in the third “Lost Boys” film, where we do a tongue-in-cheek play on “Twilight.” We had a supernatural writer in the film who was enamored with the eroticism of vampire allure. We were the first to “raise the stakes” as it were in making teenage vampire films and putting the rock ‘n’ roll edge into the whole vampire mythology. Q: Was it jarring to return to your character of Edgar Frog in the recent sequels? A: It was funny because it always felt like something that would happen, even though twenty years passed without me thinking about it or talking about it. I always thought in the back of my head that if there was any role that I would really like to reprise and update in a modern way, it would be Edgar Frog. I also knew that if I had that opportunity, I would keep myself looking good enough to enable me to jump right back into that costume and look like there hadn’t been a day that had passed. I think that we pulled it off pretty successfully, especially in the third one. In the second one, I looked very similar–people were like, “Oh my god, he hasn’t changed a bit, how is that possible?” and I remember thinking that. I put on the costume, looked in the mirror and went, “Oh my god, I look exactly the same.” But it was really in the third movie where my character looked more aged and decrepit and beat up [as he becomes] the lone soldier fighting for his independence. 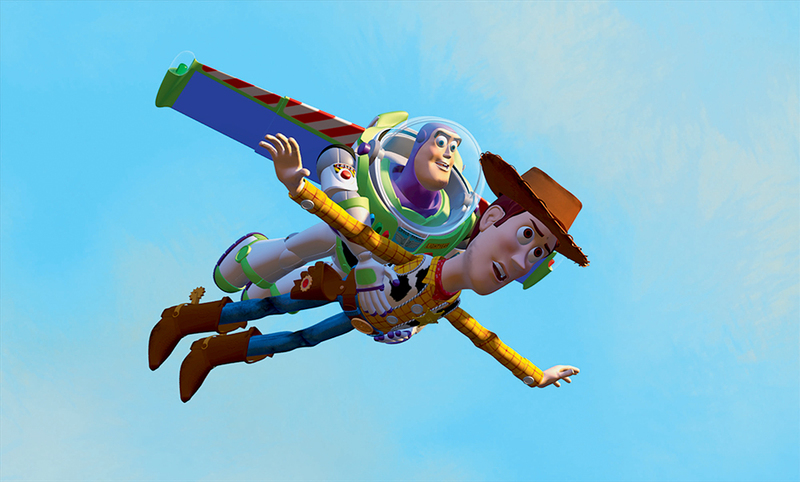 The film’s flashback sequence shows the Frog brothers at the height of their career a couple years after the original film. We shot that flashback during the last few days of production. My hair had been really long and we cut it back into the mullet that I had in the original film, and when we did that, it really looked like I had stepped out of a time machine [laughs]. Q: What do you feel has sustained the appeal of vampires in our culture? A: We live in a multi-dimensional universe and the possibility of these creatures existing in some ulterior reality is a strong possibility. I think that is what’s most captivating about it. Q: That answer is a perfect segue into your new film, “6 Degrees of Hell,” which plays on one’s primal fear that a haunted house may actually be inhabited by homicidal maniacs. A: When you’re in a haunted house, there’s a tendency to think, “Holy s–t, what if this person in front of me is a complete psychopath?” Just because they have makeup on doesn’t give them the right to wield a chainsaw and chase after a bunch of people. What if they had a bad day and decided to go postal and chop up the entire group that’s coming through the maze? This film definitely plays on those fears in the sense that it gives you that uneasy feeling. Maybe one of these days, somebody will snap in the middle of one of those mazes, or maybe there will be a mass possession as represented in the film. You never know, but I like that it instills that fear. What made me decide to get involved in the project was its idea to break the fourth wall and do something that had never been done before. Being in the business as long as I have, I’m always looking for ways to break the mold. With this, I think it’s the first time anyone has created a fourth dimension, virtual experience in moviemaking. It’s like Disneyland making a movie about the “Pirates of the Caribbean” ride, but in reverse. The filmmakers have made an attraction based on the movie. Not only is the attraction real, but the actors and makeup featured in the film are still in the attraction as well. If you see the film and want to check out the maze, you can go check out the maze and interact with those same people. So that really breaks down the fourth wall. Q: Your character functions as the eyes and ears of the audience. How much freedom did you have in creating the character? A: I wanted to create a guy who was loosely based on some of the paranormal investigators who are out there. They’re always a bit quirky, always a bit off, and a lot of those guys are trying to create a weird image for the sake of reality TV. Kyle’s quirks aren’t staged. He’s just a bit of an odd duck, and I wanted to show his eccentricities without making them part of his personality. It came through in the way he looked, with the bleached blonde hair and the electronic cigarette. All of those eccentricities spoke for themselves and allowed me to portray him as more of a grounded, centered character. Q: Since the film ends before Kyle enters the house, could you see a potential sequel materializing down the road? A: Yeah, it definitely lends itself the great potential of a sequel. After seeing the film, the fans will definitely be calling for that sequel because everyone is going to want to know what happens when Kyle walks through those doors. How is he going to deal with it, is he going to survive, or is he going to become possessed as well? It’s a very interesting set-up. Cover art for Joe Raffa’s “6 Degrees of Hell.” Courtesy of Breaking Glass Pictures. Q: You mentioned that you have a number of projects getting released this year. A: I have five films–no, actually I think it’s seven altogether [laughs]. I’m in the Rick Springfield documentary, “An Affair of the Heart,” which is now in theaters. I act with Eric Roberts in the film, “Worth,” which came out on DVD a couple weeks ago. Then there’s “The Zombie King” with Edward Furlong, which is supposed to come out next month, as well as [“The M Word”], which is a romantic comedy directed by Harry Jaglom and co-starring Michael Imperioli from “The Sopranos,” Frances Fisher from “Titanic” and Tanna Frederick from Jaglom’s “Just 45 Minutes from Broadway. I’ve got another cult zombie movie called “Zombex,” which stars cult fan favorites Malcolm McDowell and Sid Haig. So I’m all over the map with all of the films that I’m doing. I also took part in a Pink Floyd documentary directed by Storm Thorgerson, the illustrious artist who created all of the band’s artwork over the years. On top of that, I’m working on my music. I’ve got three new albums I’m working on in my new home studio. I’ve just released the first single for my forthcoming pop album, which is called “Ascension Millennium.” I’ve also got an upcoming double album, two books, a couple shows in development and a tour for next year. Throw in being a single dad on top of all those things, and I’m spinning a lot of plates at the moment. Q: Your band Truth Movement has drawn many comparisons to Pink Floyd. A: I would consider the Truth Movement a sister band to Pink Floyd in the sense that we had a number of Pink Floyd’s musicians and artists involved in our album, “Technology Analogy.” Storm Thorgerson did all of the original artwork for our album. Jon Carin, who’s been with Pink Floyd for 25 years, co-wrote and co-produced seven of the songs on the album. Pink Floyd’s sax player, Scott Page, is now my sax player for Truth Movement. There are a lot of tie-ins and it certainly produces a similar sound, but we have our own unique sound as well. Q: How true are the rumors regarding a possible “Goonies” sequel? A: I’ll put it this way. If you listen to Sean Astin, it’s definitely being made. If you listen to Josh Brolin, there’s no chance it will ever be made. My perspective falls somewhere in the middle. Anything is possible but don’t hold your breath. “6 Degrees of Hell” was released November 27th on DVD courtesy of Breaking Glass Pictures.